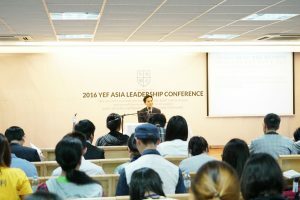 YEF offers leadership training regionally and nationwide to provide rich spiritual foods to the students in need. Leadership Training is open to the students who finished their discipleship program on their campus. During their training, they will be equipped as teachers and missionaries on campus by learning about mission and the practicum for instructing students.